Your smile is important to you; you want a smile that is healthy and makes you look and feel great. At the Dental practice of Dr. Ron S. Cavola we want to help you achieve and maintain a beautiful smile for a lifetime of health and confidence. Our practice is committed to our patients. We respect our patients and we want each person who comes to us for treatment to feel welcome, relaxed, and cared for. Dr. Ron Cavola and our team provide complete cosmetic, restorative, and preventative dental care. Restorative Dentistry - with restorative dentistry Dr. Cavola is able to restore patients' teeth that have been damaged, are decayed, or even replace missing teeth. Restorative dentistry includes dental implants, crowns, natural tooth-colored fillings, partials, and dentures. 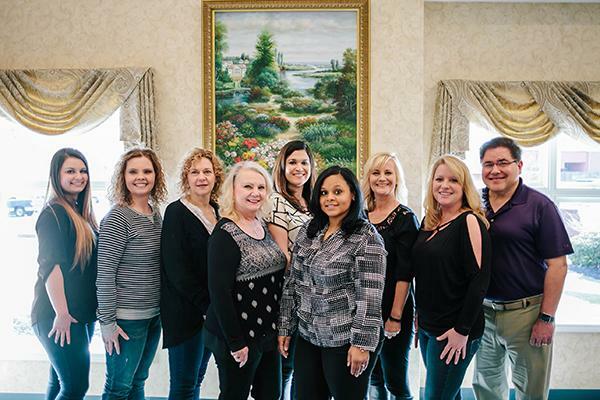 Family Dentistry - Whether you are looking for Cosmetic, Restorative or Preventative dental services, we would like you to think of us as your family dentist here in the Conyers, GA area. You can trust Dr. Cavola and his team to treat you and your family members as part of our family first and foremost. We'd love to hear from you, even if you haven't stepped into a dentist's office in longer than you'd like to mention! Feel free to contact us with any questions or to set up an appointment today.